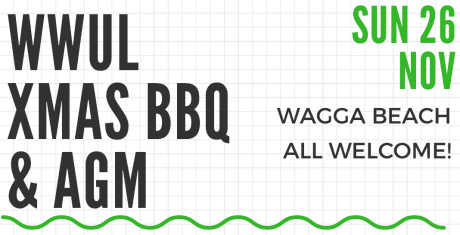 Wagga Wagga Urban Landcare invite you to join us for our Christmas party and AGM. Bring your family along, and help us celebrate another year of successful Landcaring! We will have a brief meeting and AGM from 11.00 am, followed by a FREE BBQ. All welcome!